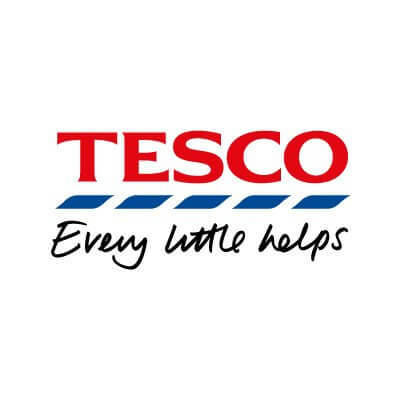 As the UK’s largest and most successful supermarket, Tesco has a reputation as an innovator and forward thinker. However, its recent adoption of GS1 labelling for fresh fruit produce posed significant challenges for their many fruit packing suppliers faced with the need to provide pre-labelled produce, and ensure accurate, high quality printing in a much smaller label format than a traditional barcode label. The chosen GS1 labels can include a 10 digit code, as well as detailed stock and pricing information in a miniaturised footprint which is beneficial and far more appropriate for soft fruits and vegetables, which may be quite small items themselves. Added to this, the GS1’s format means that weighing and scanning at the supermarket check-out is quicker and more efficient as the labels can carry GS1 Application Identifiers such as serial numbers, lot numbers, and expiration dates, creating solutions to support product authentication and traceability for fresh food products and couponing. Both of which are key items in ensuring high customer satisfaction levels. From Tesco’s point of view the new approach h ad benefits in two key areas, speed, efficiency and consequently lower costs in getting produce onto the shelves and increased customer satisfaction at the payment point due to quick and accurate scanning and less waiting. The critical issue for both Tesco and the fruit packers is print quality to ensure that databars are clear and readable at the check out scanners. Any deterioration in print quality could potentially mean Tesco’s rejection of an entire consignment or even the loss of a lucrative contract. Indeed, Tesco’s quality bar is so high that they will only accept 3 ‘unreadable codes’ per million. Clearly, with perishable items such as fruit and vegetables any rejected consignments would entail significant financial loss for the exporters and farmers alike. One visitor to last year’s DRUPA was keen to crack the challenge. SmartFarming, a South African organisation based out of Cape Town, engaged Lake Image and Ashe Converting in a discussion about the feasibility of an integrated solution that would enable apple packers in South Africa to meet Tesco’s strict quality requirements. Smart Farming is the largest supplier of fruit and vegetable labelling to fruit packers and farmers in South Africa and has specialised in this area since 2003 when it was set up. South Africa is one of the largest fruit exporters in the world and Smart Farming produces over 300 million labels a year for fruit packers working with every kind of soft fruit imaginable from apples and pears through to mango, banana and avocado. “I’ve been very pleased with the high quality solution that Lake and Ashe have worked to produce, which has perfect synchronicity,” said Amos Krisi, CEO of Smart Farming. The system went live in April and Lake Image’s IntegraVision camera system has been fitted to a 330m wide Opal slitter rewinder with 17 lines, each 20mm wide printed in a single web run. The Lake Image IntegraVision scanning technology can read most symbologies used in the marketplace, and provide a variety of document and print integrity functions, complete with comprehensive integrity and job reporting capabilities. The Smart Farming system ensures that any faulty or sub-standard labels are identified by IntegraVision which in turn triggers a controlled stop in the run so that the label from the appropriate line and lane can be identified and removed from the backing paper and discarded. Speed is also an important factor as this enables Smart Farming to maximise its resources with the Ashe/Lake system capable of running at production speeds 150metres per minute.